G.I. 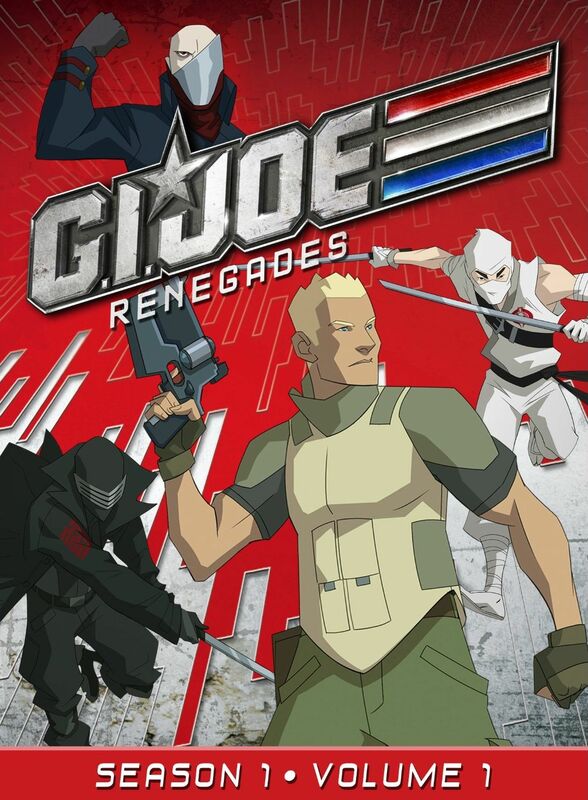 Joe Renegades is a completely new G.I. Joe series, not connected to any of the others, and it's quite a change. For starters, Cobra is a well-known world-wide corporation that most people actually love, and the small team that becomes the Joes are fugitives on the run. Pretty messed up! But of course we know the real story, that Cobra is evil and the Joes are good guys who were framed. This incarnation is also significantly different in that it features only a small group characters rather than an entire army. The whole thing is reminiscent of The A-Team, with a group of fugitives on the run from the law traveling from town to town helping out people in trouble, except they also have the larger task of finding a way to bring down Cobra and hopefully clear their names. The Joes team here are initially formed by Scarlet, who recruits the Tunnel Rat, Duke, Roadblock, and Ripcord. And you can't have a Joe team without Snake Eyes, who is a longtime friend of Scarlet. The main bad dudes are Cobra Commander, who is now a corporate big-wig, Doctor Mindbender, Destro, and the Baroness. More good guys and bad guys show up, which any G.I. Joe fan will recognize by name, but these here are the core folks. The art style of this show is quite different from the previous shows. The character designs were done by a guy named Clement Sauve who sadly passed away last year. It's really too bad we won't be seeing any more of his work because I found it to be quite unique. The story starts with Scarlett getting together her group of Joes, without telling them why, and then marching into Cobra headquarters making demands. Her team is all confused, but when Cobra guards come out with guns, the Joes do what they need to do. They eventually make their way into one of Cobra's secret labs and get proof of Cobra's evilness, but they wind up destroying the place trying to get out and loosing their proof, so they are branded as fugitives and go on the run. So far it may seem pretty normal, but there are sci-fi elements here, after all it really wouldn't be G.I. Joe without some kind of future tech. In this case, it's Cobra who delivers it, though I don't really want to give much away. It's more fun just to watch and see what happens. Anyway, this is a pretty good show. The characters all have distinct and unique personalities. I wouldn't exactly call them deep, but they're entertaining enough to watch. I'd have to say that the good guys are actually more interesting than the bad guys here, which isn't often the case. The Joes are much more fun to watch than our Cobra evildoers, and thankfully the show focuses primarily on the Joes so that's not much of an issue. I also like that the show has 5.1 surround sound (there is a 2.0 stereo option as well) as it can really make some of the action scenes come alive. Anyway, I'd recommend checking it out whether you're a fan of the original series or not. G.I. Joe: Renegades: Season One, Volume One - Episode Clip #1 - "Opening Credits"